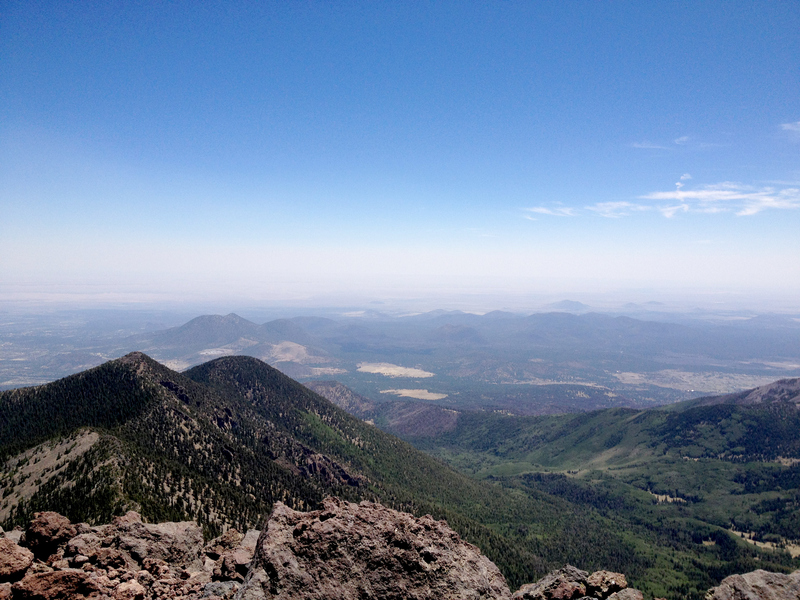 ST. GEORGE — A 17-year-old boy died Wednesday after being struck by lightning while hiking near the summit of Humphreys Peak near Flagstaff, Arizona. The boy and two other male hikers, ages 17 and 18 – all three of Tempe, Arizona – were visiting the popular hiking spot considered the highest point in the state, reaching 12,633 feet. At approximately 12:50 p.m., one of the hikers called 911 reporting that they had been struck by lightning near the Humphreys Peak summit. At least one hiker was reported to be unresponsive, the Coconino County Sheriff’s Office said in a statement Wednesday. Due to severe and continual lightning on the peaks, emergency responders staged at Agassiz Lodge and began coordinating with the hikers to try to get them to safety. At 7:30 p.m., the Sheriff’s Office confirmed that the 17-year-old boy was deceased. At dusk, officials utilized an Arizona Department of Public Safety Air Rescue Helicopter to recover the boy’s body from the summit. While the condition of the two other hikers was not immediately known, authorities said they were conscious and walking when emergency responders reached them. The two boys were then transported to Flagstaff Medical Center with injuries that were likely received due to their proximity to the lightning strike, the Sheriff’s Office said. Coconino County Sheriff’s Office, Coconino Sheriff’s Search and Rescue, Guardian Medical, Summit Fire and Medical and Snowbowl personnel responded to the scene. According to the Coconino National Forest website, mountain hiking is high on the list of activities where people are injured or killed by lightning. The website lists tips to avoid getting hit, adding that while the tips may lower injury risk, the unpredictability of lightning affords no guarantees. Hikers, golfers and others should run into a forest if a shelter or car is not nearby. Drop metal objects like golf clubs, tennis rackets, umbrellas and packs with internal or external metal frames. Get off bicycles, motorcycles, horses and golf carts. Metal bleachers at sports events, metal fences and utility poles are also to be avoided. If someone is struck, people who have been hit by lightning carry no electric charge and can be safely tended to. Also, victims who appear dead can often be revived. If the person is not breathing, begin mouth-to-mouth resuscitation. But if a pulse is absent as well, begin cardiopulmonary resuscitation (CPR). Stay with the victim until help arrives. Don’t sit or lie down, because these positions provide much more contact with the ground, providing a wider path for lightning to follow. If you are with a group and the threat of lightning is high, spread out at least 15 feet apart to minimize the chance of everybody getting hit. Swimmers, anglers and boaters should get off lakes or rivers and seek shelter when storms approach. Drop any fishing rods. Boaters who cannot get off the water before the storm hits should crouch low. Once on land, get at least 100 yards away from shore.